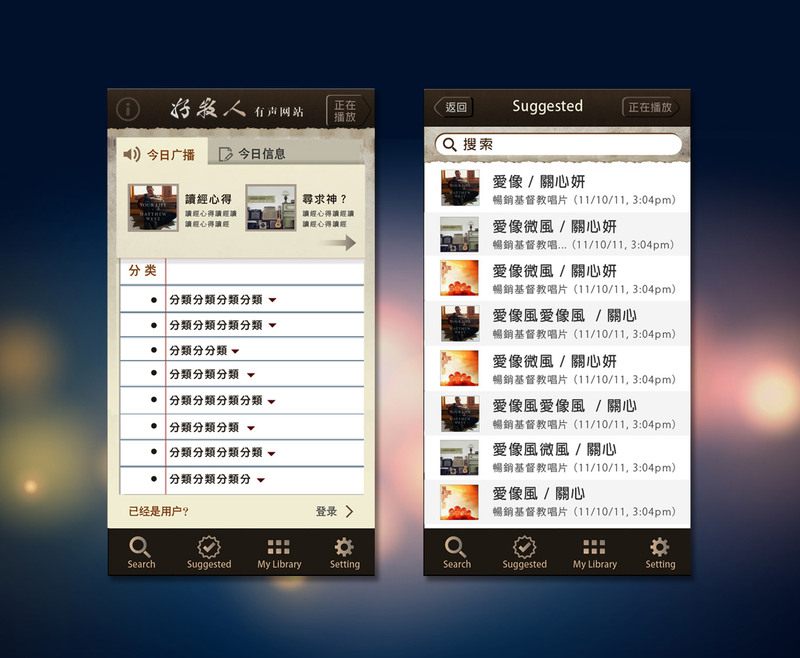 This is an app design for the Haomuren (``Good Shepherd``) radio channel of Far East Broadcast. Although liked by the client, the project was not completed due to lack of resource. Yuling designed it according to the realistic/tactile trends of the time.